Below is a Press Release from the Alpro Science & Nutrition Team this week which we felt was worth sharing as it highlights a new and extensive review on the nutrition of plant-based drinks addressing a number of nutritional misconceptions. 7th March 2018: The debate on the benefits of plant-based eating, including plant-based drinks, is a hot topic with opposing messages from supporters and sceptics on the quality and quantity of protein, vitamins and minerals, and their role within the government’s Eatwell Guide. Hardly surprising then that the subject of plant power and placing plant foods first get regular column inches focusing on everything from the environment to health and, of course, the government guidance perspective. So what is the truth and how confident can you be in championing plant foods to consumers? But, never one to sit smugly on our laurels, to resolve any continuing misconceptions around plant-based drinks and plant-based eating, Vanessa Clarkson, independent expert, registered dietitian and nutritionist, was invited to take a deep dive into the scientific evidence and provide a balanced critique of the role of plant-based drinks in the UK diet. To read the fully referenced 8-page scientific review please click here. • Soya and other plant-based drinks provide many nutrients and can thus contribute positively to overall nutritional intakes. • In the main, plant-based drinks have low levels of total fats that are predominantly unsaturated. • Cow’s milk is not a crucial provider of protein in the UK or Irish diets (with the exception of toddlers) – therefore switching to a non-soya plant-based drink will impact little on total protein intake. o Cows’s milk contributes just 7-8% of protein intakes in UK 11-65+ years and just 10% of Irish adult population intakes. • Sugars: consumers have a choice to opt for sweetened or unsweetened plant-based drinks. Even sweetened plain plant-based drinks provide just 2.8g sugars per 100ml (range 1.2g–3.8g). o With the exception of organic variants, all leading brands of plant-based drinks are fortified with calcium to a level comparable to that found in cow’s milk and with a similar bioavailability. Moreover, many are also fortified with vitamin D, which further supports calcium absorption. o With the exception of organic variants, most soya and other plant-based drinks are fortified with vitamin B12. o Iodine, not normally found in plant-based drinks, can be found a balanced diet which includes other sources such as dairy products, sea food and eggs. • Plant-based diets support population health outcomes for cardiovascular health, body weight and blood glucose control. Furthermore, nutrients needed for optimal bone health are also readily available in plant foods. • Plant foods in general, make more efficient use of the earth’s resources – a key point which should not be overlooked in light of global population growth and climate change. So, in short, you should confidently recommend plant-based drinks and eating as a healthy source of nutrition and finally put the ongoing debate to rest. 1. Alpro Censuswide survey of 1,568 consumers, conducted between 21-23 February 2018. 2. Vanessa Clarkson RD, RNutr. Fact sheet March 2018: The Role of Plant-based Drinks in the British and Irish Diet. Alpro Health Professional website/resources. Available by clicking here. The fact sheet was sponsored by an education grant from Alpro UK Science and Nutrition department. * Calcium & vitamin D, as part of a healthy balanced diet and lifestyle, contribute to the maintenance of normal bones. In children, calcium and vitamin, as part of a healthy balanced diet and lifestyle, are needed for normal growth and development of bone in children. Plant Power Day – 7th March 2018: We’re asking you to put plants first on 7th March 2018. This means, just for one day, thinking about plant-based foods first when it comes to your food and drink choices… And making every meal a PLANQUET. Currently 2.3 million people in the UK are living with heart disease, at an annual cost of £953m to the NHS. We’re involved in an on-going battle to try to reduce it. For those in the health industry, the link between high cholesterol and heart disease is well known. Meta-analyses, genetic studies and randomised controlled trials totalling more than 2 million participants, 20 million person-years of follow up and 150,000 cardiovascular events demonstrate a close correlation between cardiovascular disease (CVD) and high levels of low-density lipoprotein cholesterol (LDL-C). What’s less known is the impact plant stanol esters can have on lowering cholesterol. GPs and practice nurses are key influencers when it comes to persuading people to change their lifestyle to improve their health. So it’s vital to make sure these healthcare professionals (HCPs) have the facts – and materials – they need to support this. 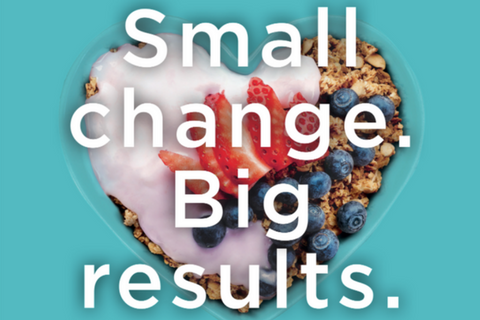 In a survey we undertook this year of HCPs on behalf of Benecol, we found that persuading patients to improve their diet change is a key priority when it comes to reducing cholesterol – along with cutting smoking and increasing physical exercise. We discovered that while the HCPs are well aware of the importance of cutting saturated fat and sugar, and want to communicate about healthier eating to patients, they are less likely to know the impact plant stanol esters can have on lowering cholesterol. Plant stanols and sterols can reduce cholesterol by up to 10% in two to three weeks. Over 70 clinical studies have demonstrated that plant stanols effectively lower cholesterol. Consumption of foods with added plant stanols or sterols (1.5 – 2.4g/day) should take place at meal times. Mixing with food and digestive juices results in the displacement of dietary and biliary cholesterol in the fat absorption pathways in the gut. Cholesterol absorption is reduced by about 50% and studies have shown a dose-dependent reduction in circulating LDL-C of 7 – 10% on average. Cholesterol begins to lower immediately. With continued use full reduction is achieved within 2 – 3 weeks and is sustained over the longer term. What’s more, if used alongside statin therapy, plant stanols lower LDL-C by an additional 10% – an effect greater than doubling the statin dose, which, at best, only provides a 6% additional LDL-C reduction. Plant stanols provide an easy diet-based solution to all hypercholesterolaemic patients, including those with mildly elevated serum cholesterol level. They would also be especially recommended for those averse to taking statins, anxious to keep statin doses low, or at higher risk from potential statin-related side effects. They are recommended by a number of prevention and treatment guidelines as part of a cholesterol-lowering diet, including the European Society of Cardiology, the Atherosclerosis Society, UK JBS3 guidelines and the World Health Organisation. As a result of our research, we created a holistic communications approach in association with HEART UK – the Cholesterol Charity and leading heart health dietary specialists – to support practice nurses and GPs, and their patients. We created information sheets for the healthcare professionals with full information about dietary changes patients can make to lower LDL-C levels. Included in this was the latest evidence not only on plant stanols but on all dietary recommendations for lowering LDL-C.
Alongside this were fact sheets for patients, clearly explaining the problem of high cholesterol and the lifestyle changes that would have a significant impact on their health. We highlighted the key motivators for patients – the fact that a small change would bring quick results. Companies are accused of only being interested in their profits – and of course, they are ultimately accountable to stakeholders, so money is always going to come into it. But what we found with Benecol’s approach is that they are genuinely determined to help combat the huge problem of heart disease that exists. Reaching out to health professionals they wanted to understand issues fully and how best to communicate lifestyle change – not just dietary, which would help promote the message of plant stanols, but also more widely, include all dietary matters as well as smoking and exercise. The materials tell the whole story, educating the professionals and patients and then leaving it in their hands how to act. Health professionals responsible for communicating heart health cholesterol lowering advice can order these packs by calling the Benecol Helpline 0800 018 4010 and asking for your health professional Benecol Toolkit ‘Small Change, Big Results’ pack.